Collect as much treasure as you can, but watch out for monsters! The further you go in the level, the more treasure you'll get, but if you take too much damage, you'll end up going home with nothing. Spend your treasure to buy Bowling Alleys, Arcades, and more! You can also use treasure to buy more hearts for your character, letting you go deeper into the level on your next run. You win by earning the most coins! 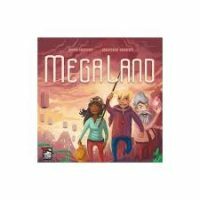 Add a Review for "MegaLand"